As a huge hockey fan, I decided that I wanted to create a place where other lovers of hockey could come and read cool news about the sport and maybe even post some comments of their own. I plan on covering everything from highlights on particular players to recent noteworthy trades. 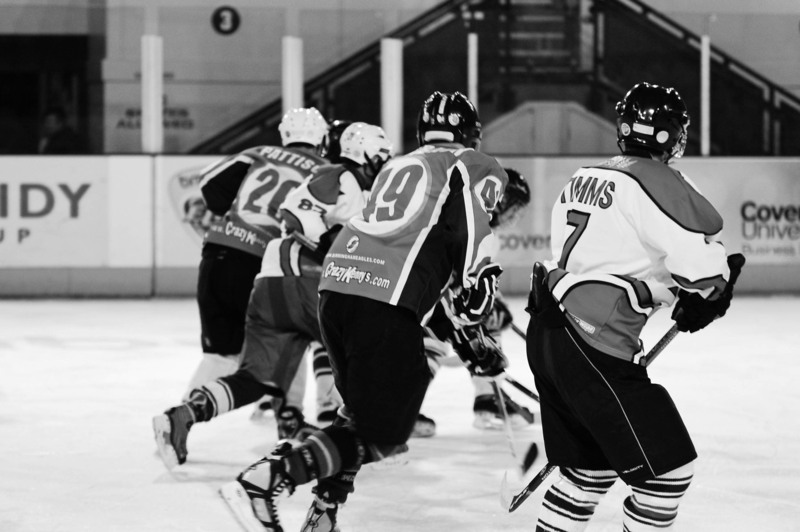 “OWW Ice Hockey” by GregDaly on Flickr. I currently live in Pittsburgh and have all my life, so over the past few years, I have been able to watch the Pittsburgh Penguins grow into the strong team they now are. I have always loved hockey, but in recent years, it has become something that is a huge part of my life. I follow the Pens, but I also enjoy following other NHL teams, such as the Boston Bruins and the Anaheim Ducks. As for the AHL, I like to follow the St. John’s Icecaps and the Dinamo Riga from Latvia for the KHL. With this blog, I don’t want to just focus on the NHL, so plan on seeing some posts about the AHL and KHL as well. Be sure to check out the site every Saturday for a new post and don’t forget to tell your friends to check it out too! This entry was tagged favorites, Hockey, welcome. Bookmark the permalink.